​Not sure if you've heard, but Twin Peaks is back. I was too young to watch the original run of the show, but I remember the phenomenon. "Who killed Laura Palmer?" was the question everybody was asking in 1990. As it turned out, David Lynch and Mark Frost had never intended to answer that question, but the network made them when ratings started to slip in Season 2. Once the question was answered, the show got pretty bad, actually. Ask David Lynch. I've now watched the original series twice. I love David Lynch. As a former Surrealist myself, or, someone who played a Surrealist in real life (it's complicated), I think Lynch has come closer than anybody since Luis Buñuel to capturing the mechanics of dreaming on film. So my favorite pieces of the original series were the Black Lodge visits, and the weird, paranormal stuff. Disappearing giants and film run backwards and one-armed men. Great stuff. The teen romance and weird soap opera machinations and insurance fraud? Less so. So the original series had about 18 great episodes out of the run of 30. And Fire Walk with Me is a little uneven, but still chilling and disturbing. So what would a return to Twin Peaks for 18 new episodes bring after 25 years? The good? The bad? The both? Five episodes in (no spoilers here, promise), I'm still more curious than hooked, but I have to say that David Lynch doesn't disappoint when it comes to delivering the David Lynch goods. 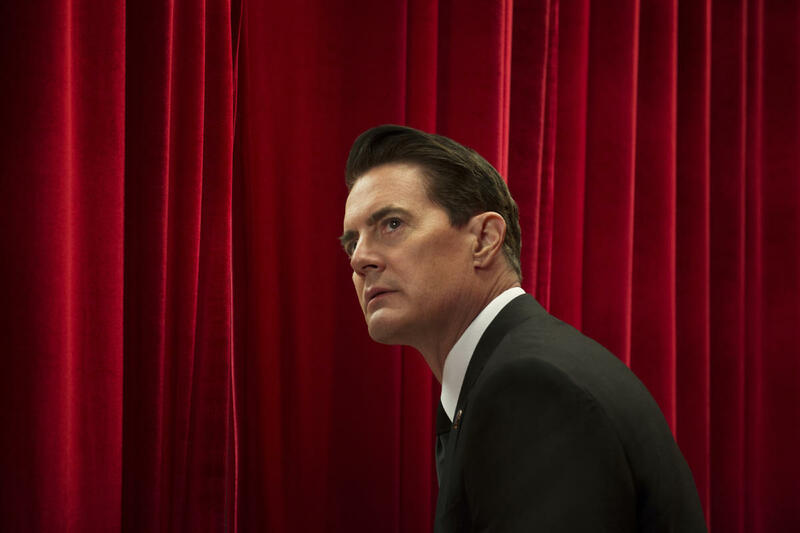 There's a lot more Black Lodge, and hints at other inter-dimensional places, too. Premium cable allows for a lot more sudden, bloody David Lynch violence that's familiar from his film work but absent from the original show. There are other Lynch signatures, too, like long, awkward stillnesses and silence, jarring sound design, oddballs, and confounding mysteries. 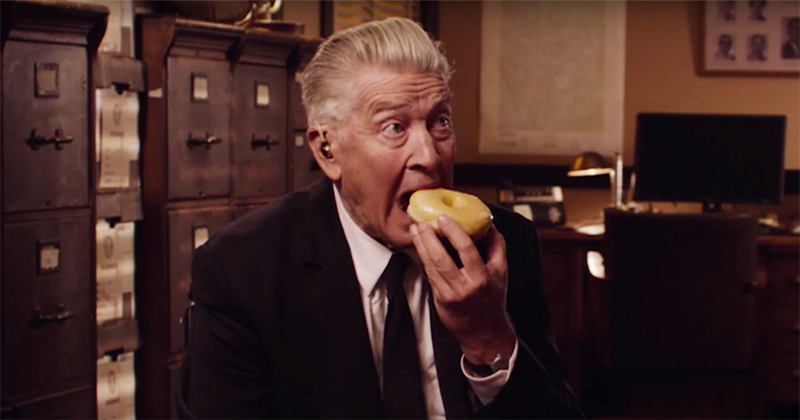 Knowing that Lynch and Frost never intended to wrap up the Laura Palmer mystery, I'm not convinced we're going to see many of these new mysteries actually resolve. But that's probably ok, too. What the hell is up with the Cowboy in Mulholland Dr.? I don't know. Doesn't change how much I like the movie. What makes me deeply happy is that the guy who made Eraserhead from 1972 to 1977, getting about a shot a day, using real umbilical cords (among other human and animal viscera) as props, definitely made this show. That's really a hell of a thing. All those Lynch signatures I mentioned above, and the pattern on the floor of the Black Lodge, come to that, are all on display in Lynch's first film. That he has evolved as an artist and storyteller, without compromising his idiosyncrasies, and while somehow simultaneously finding a way to make mainstream entertainment is probably unprecedented, and, as a fan, it's a wonderful thing to see and experience. The canvas Lynch is painting on in the new Twin Peaks is vast. We've been to both Washingtons, a Dakota, Vegas, and at least two nearby dimensions. We don't know what connects all these places, but if you're on the fence about tuning in (I know, nobody "tunes in" anymore), or if the total media saturation leading up to the premiere didn't get you to sign up for Showtime, I have to recommend taking the ride. No promises where it ends will give you closure, but it's definitely worth investigating. Finally, since it's been stuck in my head for at least a week now, I leave you with the Lady in the Radiator song. Posted by Vance K — cult film reviewer and co-editor of nerds of a feather, flock together since 2012, Emmy-winning producer, and musician.